I have previously written about the rise of shaming punishments in the United States in both blogs (here and here and here and here) and columns (here and here). 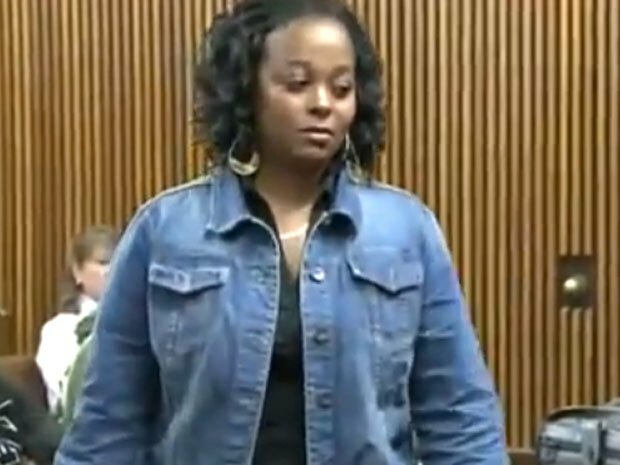 We can now add Cleveland Municipal Court Judge Pinkey S. Carr to the ignoble line of judge meting out their own forms of justice through humiliating acts. In this case, as shown in the video below, Shena Hardin, 32, is requiring to wear a sign calling herself an “idiot” in public for repeatedly driving around a school bus on the sidewalk while children were boarding. As a threshold matter, Hardin is by any definition an idiot. She would routinely drive on the sidewalk to go around a school bus while children were boarding. The driver wisely alerted police who waited one morning and caught her in the act. The outrageous act was caught on videotape below. Carr ordered her to stand at an intersection wearing a sign for two days saying: “Only an idiot drives on the sidewalk to avoid a school bus.” She is to wear the sign 7:45 a.m. to 8:45 a.m. both days. Her license was suspended for 30 days and she was ordered to pay $250 in court costs. Carr is already been given “props” for the “perfect” sentence in the media. Carr has been on the bench for just a year but has already decided to make up sentences. 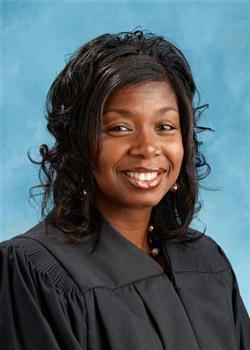 She is a former prosecutor and graduated Cleveland-Marshall College of Law in 1992. It is easy to let the well-based anger at Hardin to overwhelm our judgment and even relish the degrading act ordered by the court. However, these shaming punishments degrade our legal system and turn judges into little Caesars meting out their own justice to the thrill of the public. We have seen judges force people to cut their hair in their courtroom or clean their court bench with a toothbrush. These sentences make justice a form of public entertainment and allow judges to turn their courtrooms into their own macabre productions. Hardin should be punished severely according to the municipal code. This should have included in my view a jail stint. I also fail to see how a 30-day suspension is an adequate punishment. I am far more worried about her driving in 30 days than happy with a two-day humiliation. Most people would never drive on a sidewalk in any circumstances. Hardin did it regularly with children boarding a school bus so not to be inconvenienced for a minute a morning. The judge in this case undermined the social condemnation of this act by improvising with extrajudicial punishment. While I would not require the judge to wear a sign reading “Only an idiot comes up with his own punishments,” I do believe that state bars need to condemn such abuse in sentencing.